DON'T RIDE DIRTY! Keep your shoes and boots clean! 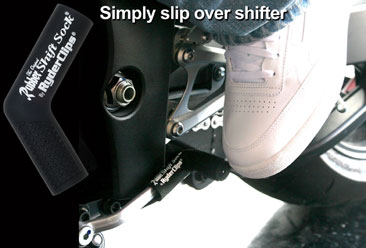 The Ryder Clips Rubber Shift Sock is the solution for keeping the riders' sneaker or boot clean! 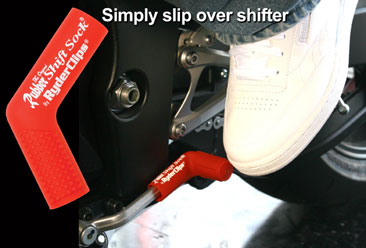 Now you can forget attaching anything to the shoe (for example, cutting socks or putting other products on the sneaker or boot). They are made of natural, durable, long lasting rubber. 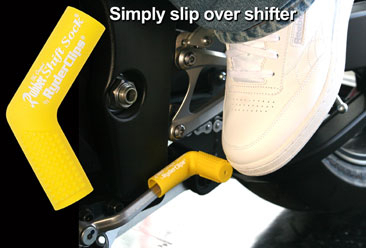 The Ryder Clips Rubber Shift Sock TM is designed to easily slip over the shifter and securely hold in place. 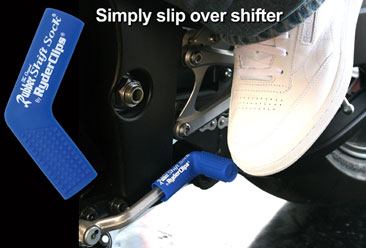 Now you can Protect your shoes from shifter damage... In style! • Simply slip over shifter. 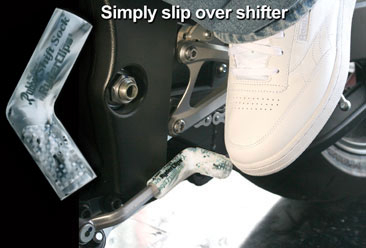 • No more ugly black marks on your shoes or boots. • Flexible, natural rubber material. 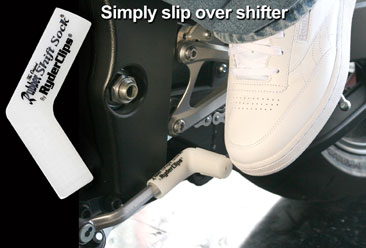 • Fits most sport bike/ street/ dirt & ATV shifters. • Fits shifters up to: 3/4" wide and 2" long. Available in Red, White, Blue, Yellow, Black or Green!